ASE’s Advanced Engine Performance Specialist (L1) Test is celebrating its 25th birthday in 2019. By the end of this year, 100,000 service professionals will have earned the L1 credential since its inception. Combining complicated generic questions with others requiring use of a Composite Vehicle reference booklet, the L1 test is the highest ASE credential that a driveability and emissions technician can achieve. In the early 1990s, the industry asked ASE for a certification test to address the enhanced I/M emissions initiatives of that time. The Advanced Engine Performance Specialist (L1) Test answered that call by measuring the knowledge needed to diagnose emission failures and driveability problems on computer-controlled engine systems. From the outset, L1 set the standard for evaluation of technicians’ abilities to research system operation, correlate it with exhibited symptoms and come to a conclusion on the source of the problem. 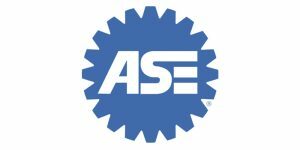 The Advanced Engine Performance Specialist Test was ASE’s first Advanced Level test, challenging technicians to be at the top of their game. It also was the first to require the development of a “model” Composite Vehicle detailed in a supplemental reference booklet for in-test use. The Composite Vehicle has a generic powertrain control system representing a cross-section of computerized engine control technology, developed to ensure test accuracy without bias toward any single manufacturer or application. The test has been regularly updated to reflect advances in technology and currently uses Composite Vehicle Type 4, released in 2016. The reference booklet is now 36 pages with a four-page wiring schematic.